IN THE HEART AND SOUL OF THE VILLAGE, IN FALSE CREEK. Located within Vancouver's best seaside excitement having the most breathtaking natural scenery of the majestic Northshore mountains and the soothing ocean's water. 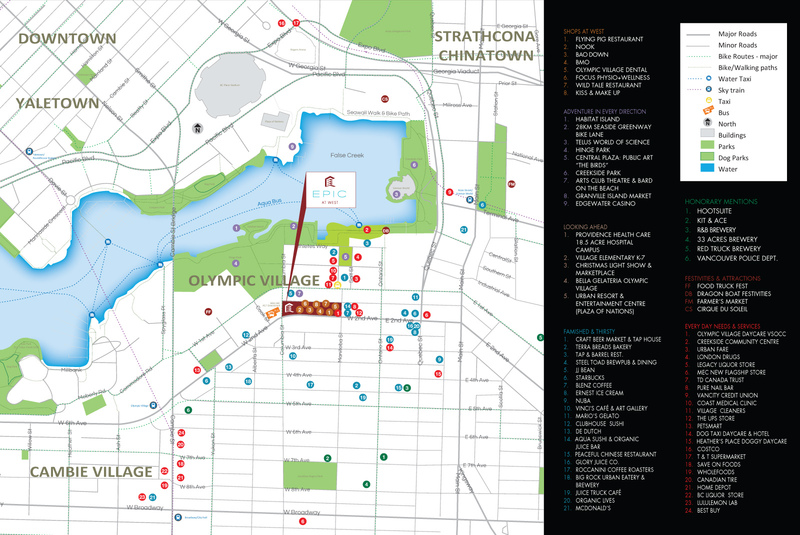 You are just steps away from the largest outdoor seaside patios in Vancouver, the Food Truck Fest, International Dragon Boat Festival and seconds away from the very BEST of what Vancouver has to offer. The Village's very own 1.1km seawall is the brand new link to Vancouver's 22 km of continuous seaside pedestrian-bicycle route. 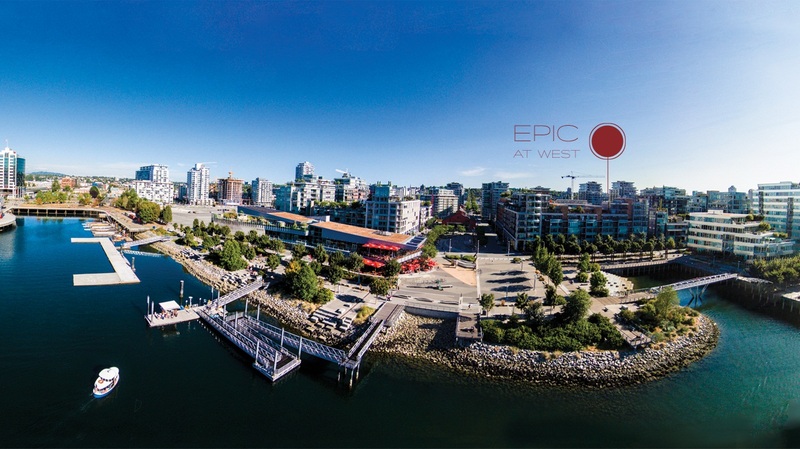 At EPIC AT WEST public amenities are abundant and at your doorstep including Executive Group Development's very own 43,000 sqft of upscale street level retail called Shops at West covering an entire city block including the spectacular 18,000 sqft $11 million state-of-the art childcare facility in Phase I already gifted to the City of Vancouver. The Village is home to Urban Fare groceries, London Drugs, Creekside Community Centre, Liberty Wine Store, Craft Restaurant, Tap & Barrel, Terra Breads, JJ Bean, school sites, parks, marinas, and all your dayto-day services for postal, banking, drycleaning & pets – it’s no wonder this is its own city within a city and Vancouverites are choosing to live here! The public transportation is the most comprehensive yet to be seen for a neighborhood - within a 4 block radius includes the Canada Line, Skytrain, water taxis, #84 UBC bus, streetcar, 22 km of seaside bike & pedestrian routes with endless connectors to wherever your destination. The Village is a flourishing and exciting retail culture of local artisans that has put BC on the world map for craft beers, offering up a myriad of delicious styles and flavors in cuisine to please any cravings and all the day-to-day services you need at your doorstep including Executive Group s very own, SHOPS AT WEST - over 43,000 sqft of upscale retail including Flying Pig Restaurant, Wild Tale, Bao Down, Nook, BMO, Olympic Village Dental, Focus Physio + Wellness and Kiss and Makeup.